You get your dedicated desk in the working space. A comfortable chair, a wide desk and a locker are provided too. You have free use of the Meeting Room, Skype Room, printer and scanner. The coworking has chill-out areas and 2 self-service cafe (areas) including free coffee, milk, and tea. This plan includes the possibility to address your business to La Vaca Coworking and receive your mails or packages. 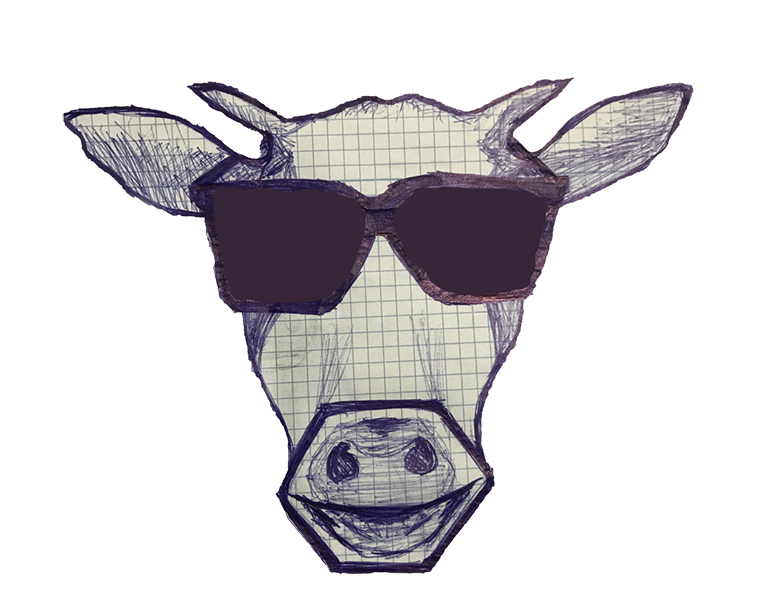 You can join all the Activities and Events organized by La Vaca and our community of Freelancers and Start-ups in Barcelona. 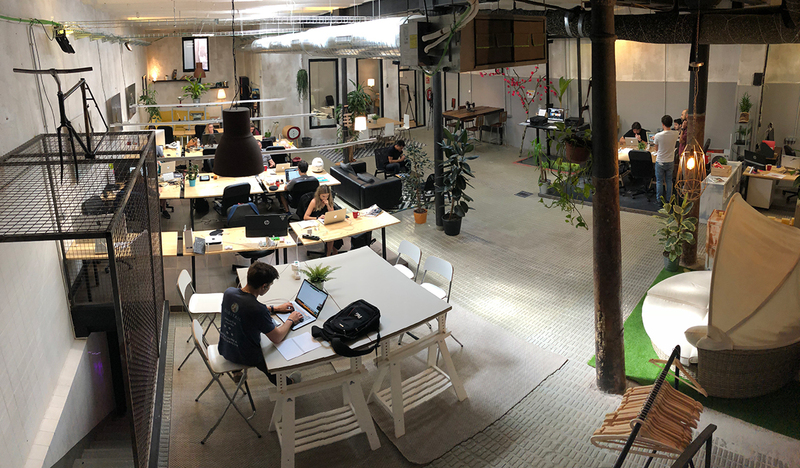 Our Coworking is a big, open space which you can make feel like a second home and where coworkers are sharing their skills and capabilities and we facilitate the synergy between them through workshops, conferences, and afterworks. This plan allows you to settle in any desk you find available in our spacious and comfy workspace. 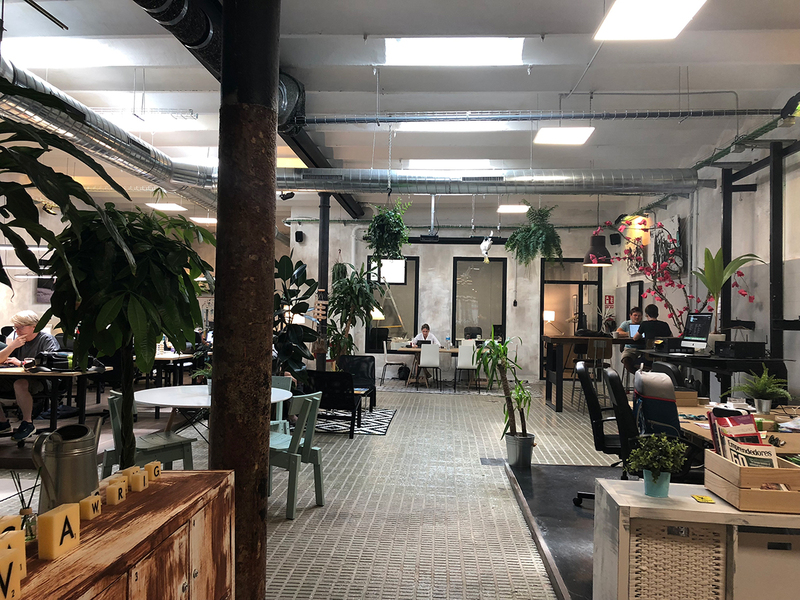 In addition, the Coworking has several lounge areas where you can work, and 2 self-service cafe areas with free milk and tea included in the plan. They are included in the plan. You also have free use of the Meeting Room, Skype room, printer and scanner. 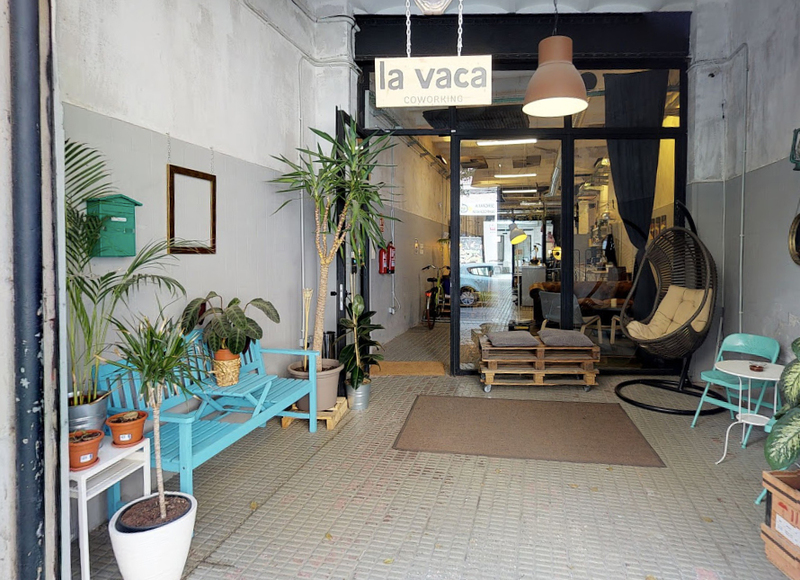 There is the possibility to address your business at la Vaca Coworking and receive your mails or packages here at the reception. You can join all the Activities and Events organized by La Vaca and our community. Our Coworking has a large, open space perfect for all your flex needs. 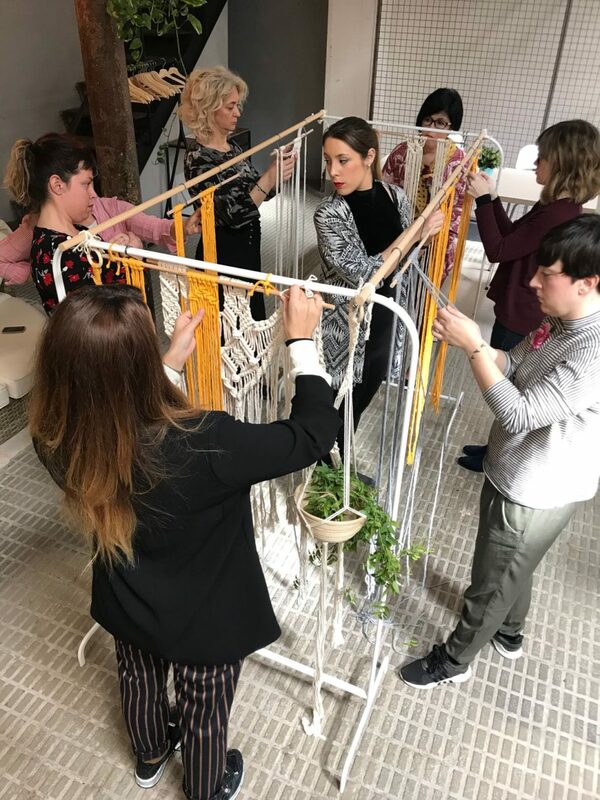 There are other companies working and collaborating to share their competence and skills, and we like to foster the synergy between them through workshops, afterworks, and conferences. This plan is a good compromise if you don’t need a Coworking space the whole day. You can choose to work the morning shift (9am-2:30pm) or the afternoon shift (2:30pm-8pm) and find a desk available in our large open space. The Office Space has chill-out areas where you can work and 2 areas where you can serve yourself cafe, milk, and tea for free. The use of the Meeting room, Skype room, printer and scanner is included in the price. There is the possibility to address your business at La Vaca Coworking and receive your mails or packages here at the reception. You can join all the Activities and Events organized by La Vaca and our Community. The Coworking space is large and open which is suitable for any amount of time you’d like to spend here. There are other coworkers and companies constantly discussing their competence and skills. We promote the synergy between them through workshops, conferences, and afterworks. 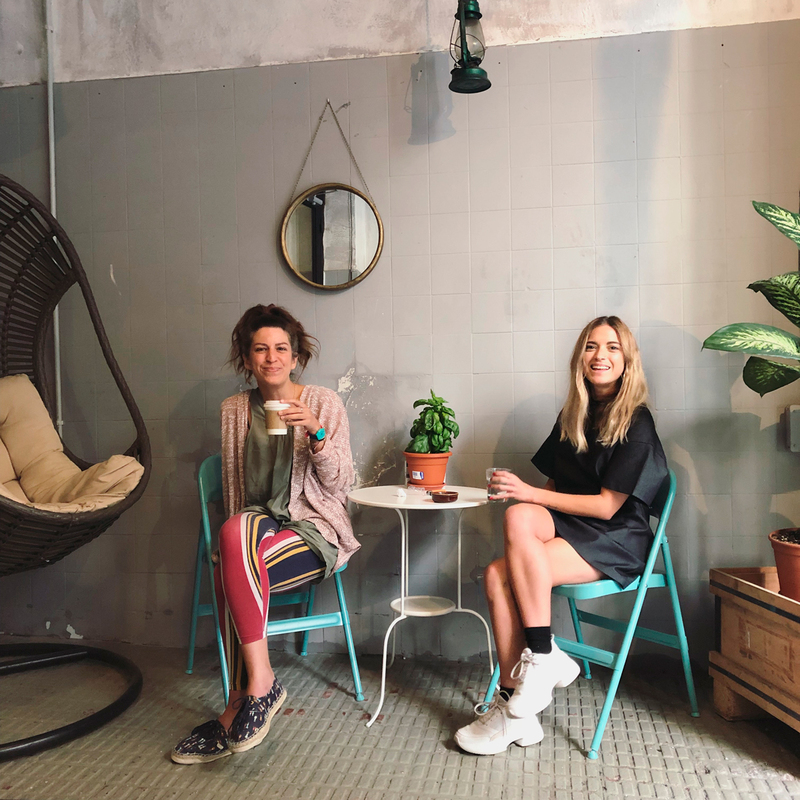 Are you a Digital Nomad passing by Barcelona? This is our daily plan for €15, dedicated to all those who want to enjoy our cozy space even for just a little while. What does it include? Access to our Office Space, access to our Skype Room for one hour and all the basic services of the Coworking. So with this plan you will have the opportunity to try our well-known “expreso del Vaquero” in our Coworking cafe. You can print your boarding-pass for your next flight and join our amazing community. Although just for a day, you can enjoy the big, open space and meet the other coworkers and companies that are constantly sharing their abilities and competence. We like to help push the synergy between them through workshops, conferences, and afterworks. 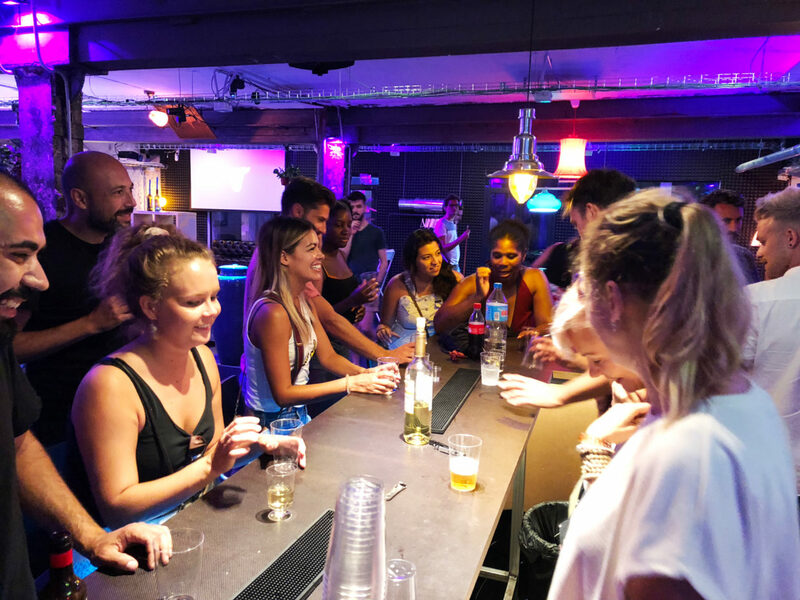 You will also find our location suitable because we are near the famous “Avenida del Paralelo” and a short walk away from the metro station Poble Sec. Are you a Freelancer?, Are you traveling a lot? 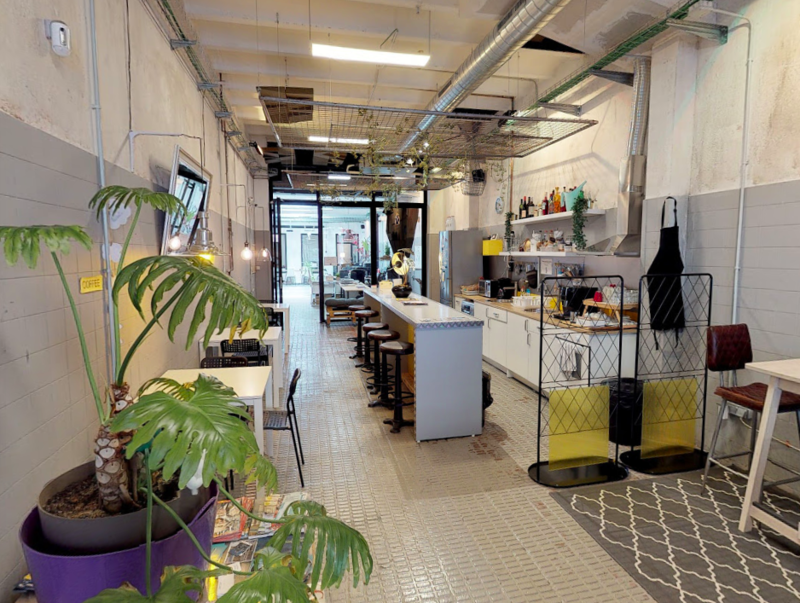 Do you need a place to work occasionally in Barcelona? Then our 10 days pass is the best choice for you! 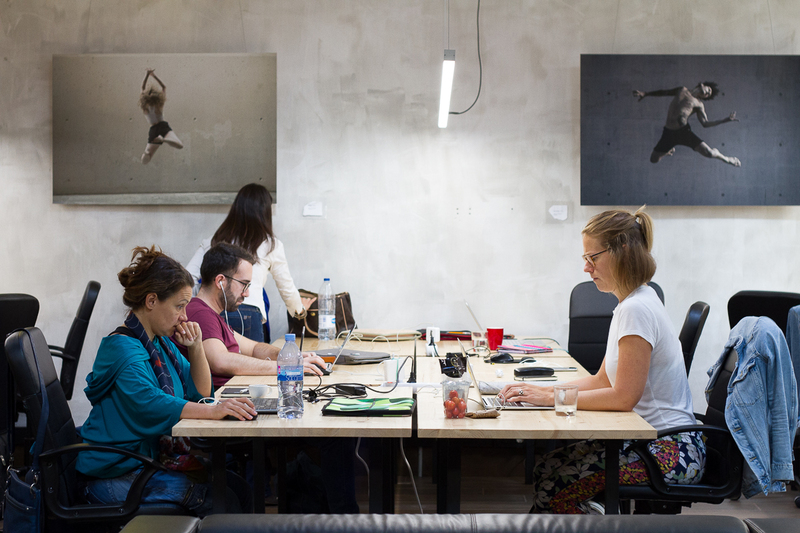 10 entries, valid for 3 months , giving you access to all our spacious Coworking. The Office Space has large desks and lounge zones where you can work and chill. Two self-service Coffee Areas where you can enjoy good coffee, milk and tea for free. You also have free use of the Meeting Room, Skype Room, Printer and Scanner. 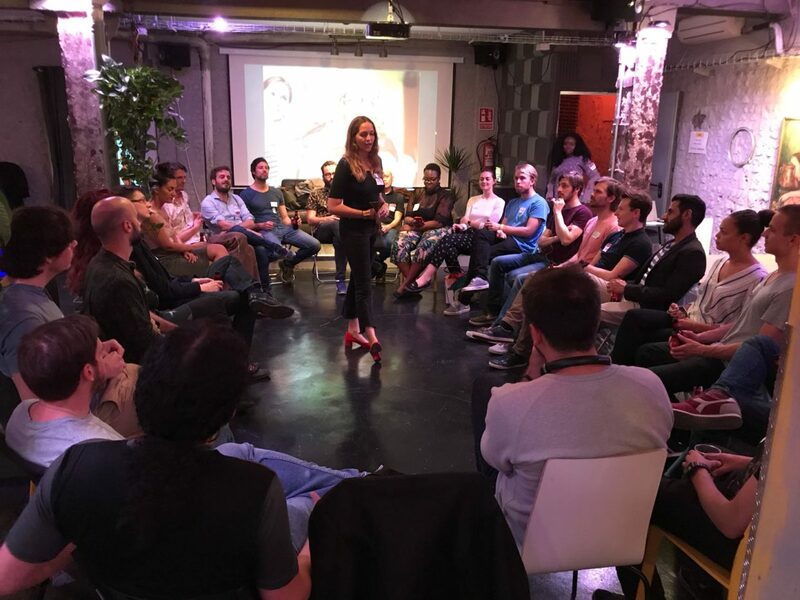 You can join all the Activities and Events organized by La Vaca and our community of Freelancers and Remote Workers in Barcelona. 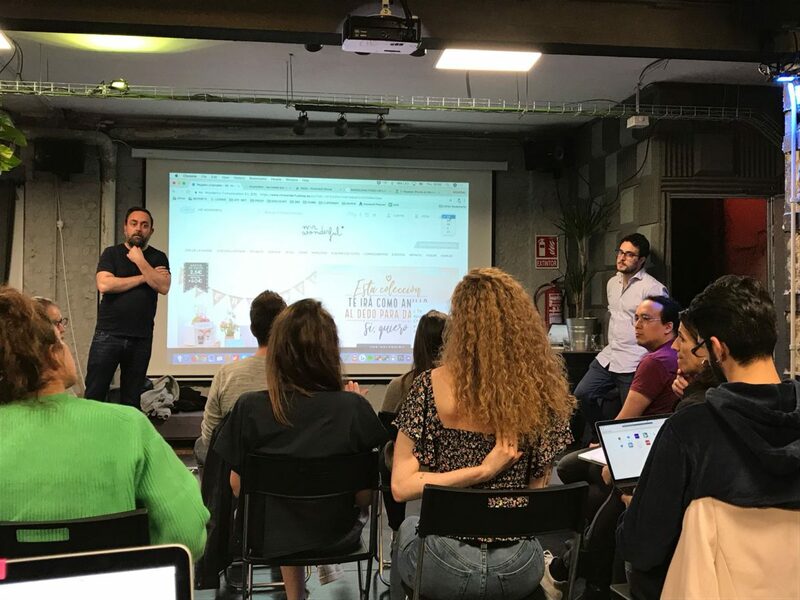 Since this plan allows you to pass by our large and open coworking space whenever and without an expiration on the 10-day pass, you can always meet new coworkers and companies that are sharing their competence and knowledge. We promote the synergy between them through workshops, conferences, and afterworks. Are you a company? Are you a group of people working on the same project? 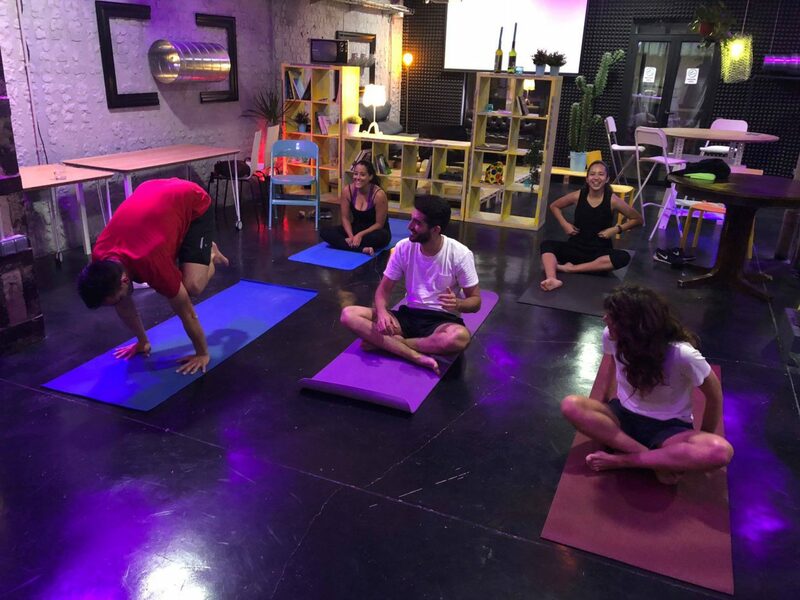 Companies, startups and groups are more than welcome at La Vaca Coworking! We have large and flexible space that can be customized for businesses who wants to settle their own headquarter at La Vaca. Get in touch with us and schedule a meeting to check and plan all the tailor made options we can provide. 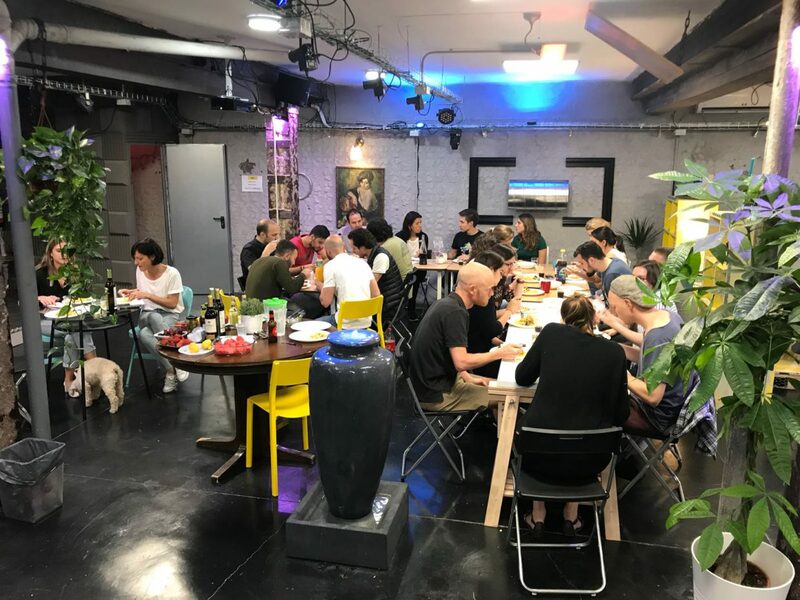 Our Coworking is a big open space where there are already other companies working and sharing their competence and we like to incentivize the synergy between them through workshops, conferences and afterworks. We are located really close the famous “Avenida del Paralelo” and less than 1 minute away from the metro station POBLE SEC. 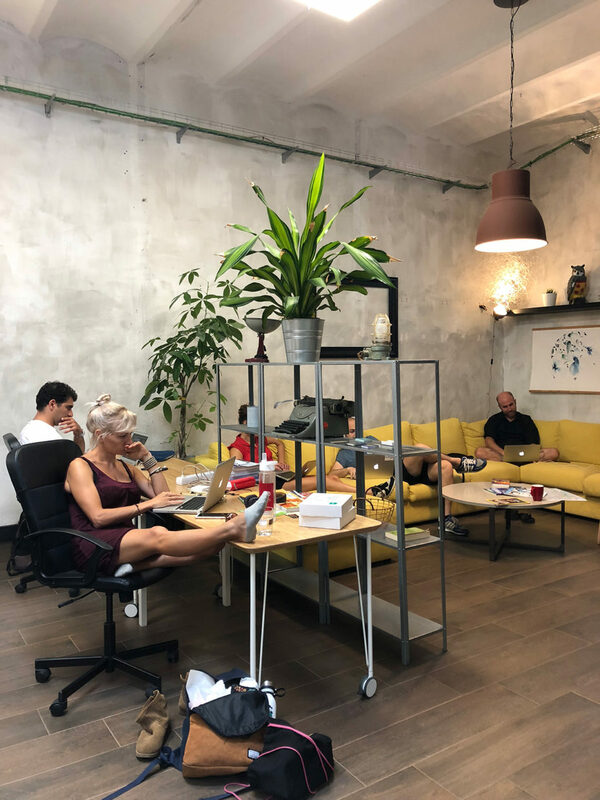 Our Coworking space is placed in the 19th-century working class district of Poble sec in Barcelona. El Poble Sec (the Dry Village) was never dry. Quite the opposite. But the strong industrial activity in the area dried the wells, and the neighborhood suffered severe droughts. At the foot of Montjuic, it has always been rich of theatres, cabarets, and cafés. Soon became a meeting point for social anarchist movements. The most successful Spanish strike started from here. And it brought to the reduction of 8 working hours per day. El Poble Sec. Place of contrasts. Always on the move. Hard working. Independent thinker. Like la vaca.